Luang Namtha, at the crossroads between China, Myanmar, Thailand, and Vietnam, is a quaint town along the Nam Tha river in Northern Laos. 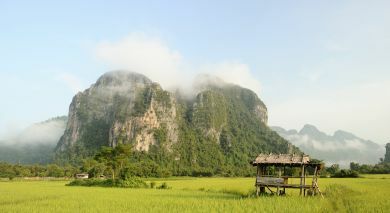 It’s an excellent base to explore the namesake province, and the Nam Ha National Protected Area. Being a provincial capital, you can also fly in and out of town regularly from Vientiane, Laos’ capital. 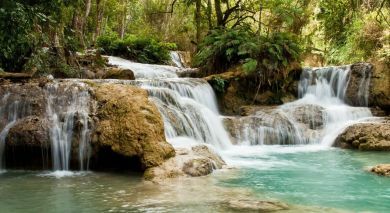 Consider driving or riding around – Luang Namtha to Huay Xai, at the Thai border, is considered the best road in Laos. 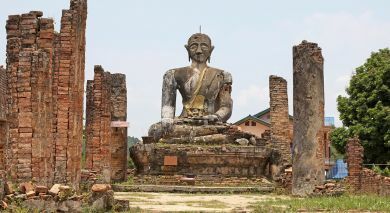 Although this sleepy small town has developed over the years due to growing tourism, step out a few of kilometers you’ll delight in the sights of typical Laos countryside. Support the flourishing ecotourism initiatives when you traverse the lush outdoors – caves, waterfalls, jungles with multi-day trekking, mountain biking, and kayaking trips. This rich biodiverse landscape harbors an astonishing variety of native flora and fauna. Being the most ethnically diverse region of Southeast Asia with more than 35 ethnic communities residing here, you can gain an insight into their tribal lifestyle opting for a homestay experience. Situated on the banks of Nam Tha river in Northwestern Laos, The Boat Landing is a quaint, family-owned guest house resort, ten minutes from Luang Namtha, and right next to the town's airport.